New Band from Yishai Lapidot & Amiran Dvir! First single from the new band debut album which was established by Yishai Lapidot and Amiran Dvir. 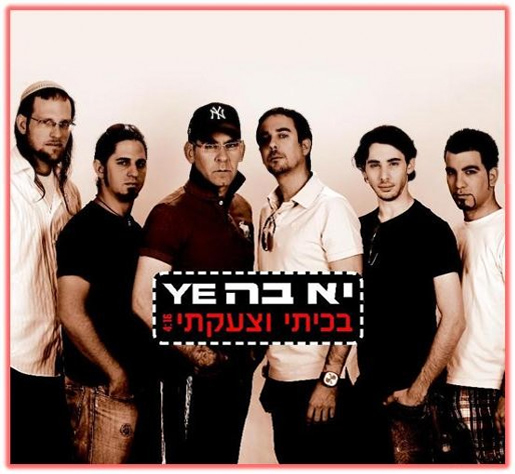 The result: a Jewish rock band – Israeli standards sector not yet known. Band “which YE k ‘audience is exposed debut single,’ I cried and shouted ‘Song of Songs Cherubims middle band number on the internal struggles, trials and wars undergone as a believer who lived during this time … The band, led by automotive Dvir Lapidotand appointed six members. These days the band finished recording and hours back many new road debut album accompaniedon tour across Israel. Album which will feature original Jewish music will also be refreshing to find innovations that Israeli and Jewish classics. The song ‘I cried and shouted,’ written and composed by Yishai Lapidot processing: Amiran Dvir. Band members: Yishai Lapidot: Poetry / Amiran Dvir: keyboards and vocals / Eldad Orlev: Bass / David Setter: Guitars /providing wide: Guitars / light “terminal” Cohen: drums.